Todesstrafe und Morde, Bestrafungen und Hinrichtungen – diesen Monat wurde darüber so viel diskutiert wie selten. Es geht um drei Fälle, die sehr unterschiedlich ausgegangen sind. Dass Taiwan nach wie vor Menschen zum Tode verurteilt, kann keinem Besucher entgehen. 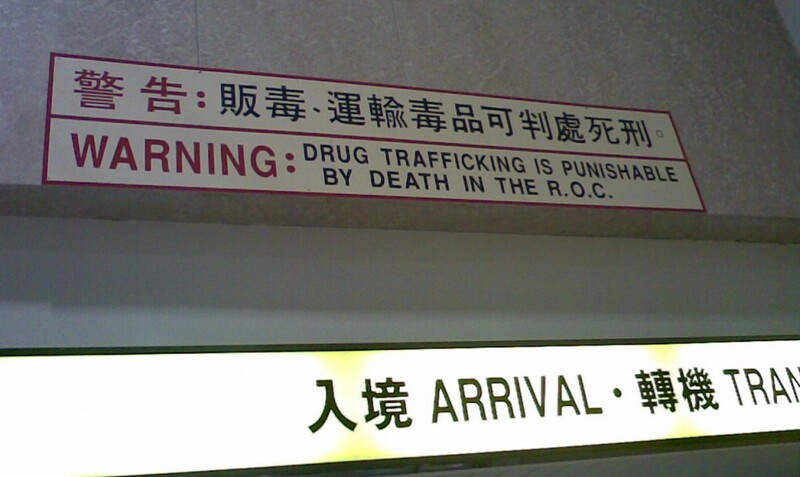 „Drogenschmuggel kann mit dem Tode bestraft werden“, stand am Flughafen auf Englisch auf einem Schild, an dem alle Einreisenden vorbeikommen, als ich zum ersten Mal das Land betrat. 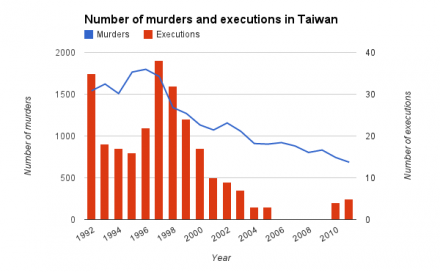 While Taiwan is a democracy, and the human rights situation is better than in most Asian countries, the death penalty tarnishes the country’s reputation. International abolitionist groups and the EU have already voiced heavy criticism and their disappointment with Taiwan’s government, which has repeatedly stated that abolishing the death penalty is the ultimate goal. Moreover, human rights experts say that the executions in Taiwan are in violation of international human rights conventions which Taiwan has ratified and made part of domestic law. Just as its supporters have a lot of justifications for the death penalty, there are many reasons for opposing it. My personal opinion is: Innocent people are bound to be killed sooner or later. There is no way of making up for such a killing. The state cannot run the risk of becoming a murderer of innocents, it has to be better than the criminals. The possibility that innocent people could be executed because of errors in the criminal justice system is not a good reason to scrap the death sentence, Wang said. “Does it make sense that we introduce a ban on stewed meat just because there was a report about a person choking to death after eating a piece of stewed meat?” he asked. 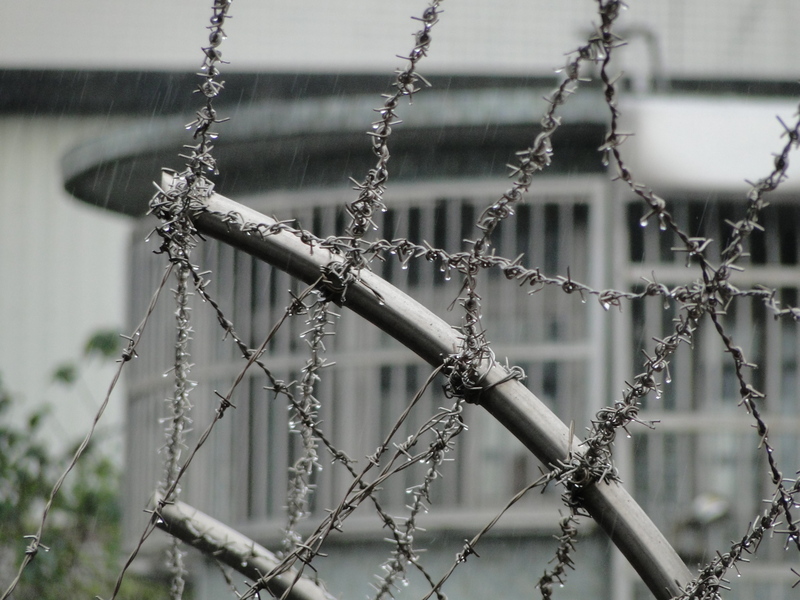 Even if one does not oppose Taiwan’s death penalty for fundamental resons, there is a huge problem: According to human rights experts, the recent executions have basically been in violation of Taiwan’s own laws. How can that be if the death penalty is also part of those laws? In late February, Taiwan’s government invited a group of reknown international human rights experts to Taiwan. Their mission: To independently review Taiwan’s implementation of the United Nations‘ human rights conventions. The legislature did not just approve the conventions, but also passed a law on their implementation, clearly ruling that they will have legal effect domestically whether they are deposited with the UN or not. The enforcement law gives priority to providing funds for implementation, and gives all levels of government two years in which to review their laws, regulations and practices and to amend or reform those that do not comply with the covenants. Until the final abolition of capital punishment, the Government of Taiwan should ensure that all relevant procedural and substantive safeguards relating to the imposition and execution of capital punishment are scrupulously adhered to. (…) According to Article 6(4) ICCPR, anyone sentenced to death shall have the right to seek pardon or commutation of the sentence. This implies that the execution of the sentence of death must be postponed at least until the proper conclusion of the relevant procedure. In the opinion of the Experts, this provision of the Covenant seems to have been violated in all 15 cases of executions carried out in Taiwan during the last three years. Nowak confirmed to me that the executions in Taiwan over the last years had been in violation of Article 6 of the covenant as well as of Taiwan’s prevailing law. He said there are no provisions in place in Taiwan’s Amnesty Act to deal with pleas for pardon, and that they need to be implemented. While Taiwan’s government says it’s working towards abolishing the death penalty, it actually shies away from acting against the will of the majority of Taiwanese (unlike in many other cases where public opinion did not sway the government at all from introducing unpopular measures). With the parliament having ratified the international conventions, and the prisoners having asked for a pardon, all recent executions apparently have taken place without a proper legal basis. Have they been illegal? I am no law scholar. But I think that in cases of life and death, there is no room for interpretation. Until the authorities realize this, one can only hope that, at the very least, none of those recently executed turns out to have been innocent. Just a little over two years ago, President Ma had to apologize for the wrongful execution of 21-year-old Chiang Kuo-ching in 1997. Chiang’s confession had been extracted by torture. Currently, Amnesty International and other groups are campaigning for a re-trial in the case of Chiu Ho-shun. Chiu has been on death row for more than 20 years. According to lawyers, there is evidence that he had also been tortured prior to confessing. Recommended viewing: A video interview with Lin Hsin-yi, executive director of the Taiwan Alliance to End the Death Penalty. Whoever wants to dive right into the ugly side of the discussion, this video’s comment section seems like a good place to start. Apart from the death penalty, the group of international experts submitted more criticism and suggestions regarding Taiwan’s human rights situation. You can download the English version of their concluding observations on this Taiwanese government website. Update: I corrected the name of the prisoner wrongfully killed in 1997. He was called Chiang Kuo-ching. In Taiwan sind gestern (Freitag, 21. Dezember 2012) sechs Häftlinge hingerichtet worden. Damit dürfte die Regierung beim Großteil der Bevölkerung Pluspunkte gesammelt haben, denn die Mehrzahl der Taiwaner befürwortet die Todesstrafe. Dass Taiwan damit sein internationales Image beschädigt, scheint zweitrangig. Im Jahr 2010 wurden vier Häftlinge hingerichtet (per Schuss ins Herz), 2011 waren es fünf, nun sechs. Ich denke, da kann man von einem Trend sprechen. Aktuell sitzen in Taiwan noch 55 Häftlinge im Todestrakt. Ein Auslöser für den Vollzug der jüngsten Hinrichtungen dürfte ein besonders grausamer und Aufsehen erregender Fall aus Tainan sein: Der Täter hatte einem Zehnjährigen die Kehle durchgeschnitten – angeblich, um sich so eine bequeme Gefängniszelle auf Lebenszeit zu sichern. „In Taiwan wird man sowieso nicht mehr hingerichtet, selbst wenn man einen oder zwei Menschen tötet“, soll er gesagt haben. Kein Wunder, dass eine Empörungswelle folgte und viele Taiwaner forderten, die Todesstrafe auf keinen Fall abzuschaffen. International aber beschädigen die Hinrichtungen Taiwans Image. Zwar werden oft die USA und Japan als Beispiele für Demokratien mit Todesstrafe genannt, aber gerade aus europäischer Sicht bietet Taiwans Todesstrafe immer wieder Anlass für Kritik. 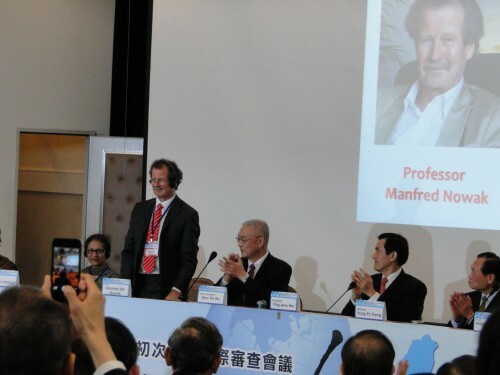 Zwei Juristen aus Deutschland und Österreich, die Professoren Eibe Riedel und Manfred Nowak, wurden von Taipei gebeten, Taiwans offiziellen Menschenrechts-Bericht zu prüfen. Vor wenigen Wochen hatten sie die Regierung gebeten, vor ihrem Besuch im Februar keine Hinrichtungen mehr durchzuführen. Ich bin gespannt, welche Auswirkungen die jüngsten Entscheidungen auf ihre Arbeit haben werden. Ich verurteile die Hinrichtungen scharf. Taiwan habe ich immer als ein positives Beispiel für Demokratie und Rechtsstaatlichkeit angesehen. Umso schlimmer ist es, dass von Taiwan nun ein solch negatives Signal ausgeht. Nun ist solche Kritik aus der EU an Taiwan ja nicht ganz frei von Heuchelei, denn durch ihre Ein-China-Politik unterstützen die europäischen Regierungen nicht gerade Taiwans demokratische Entwicklung. Das Land meist zu ignorieren und diplomatisch kaltzustellen, in solchen Fällen aber die Moralkeule zu schwingen, ist keine geschickte Strategie. Auch nach Ende von Taiwans Diktatur gab es Fälle, in denen nachgewiesenermaßen Menschen im Namen des Gesetzes zu Unrecht getötet wurden. Vor knapp zwei Jahren kam heraus, dass noch 1997 ein Unschuldiger hingerichtet worden war. Oft wurden solche „Geständnisse“ per Folter erpresst. Noch immer sitzen in Taiwan Häftlinge im Todestrakt, deren Schuld nicht unumstritten ist. Auch sie könnten jederzeit hingerichtet werden. So startete Amnesty International kürzlich eine Kampagne, um auf den Fall von Chiou Ho-shun aufmerksam zu machen. Taiwan provides no procedure that would allow people on death row to seek a pardon or for the sentence to be commuted – a right recognized by the International Covenant on Civil and Political Rights, which the Taiwanese parliament has voted to implement. Family members are not informed about scheduled executions in advance. They only find out when they are invited to collect the body from the mortuary. In addition, serious fair trial concerns have marked the imposition of the death penalty in Taiwan. Meine persönliche Meinung zu dem Thema hatte ich schon vor längerer Zeit in einem Leserbrief an die Taipei Times dargelegt. In Kürze: Einen Verbrecher zu töten, kann kein verlorenes Leben zurückbringen. Aber einen Unschuldigen zu töten, zerstört weitere Leben. Nämlich die seiner Angehörigen. Weil Fehlurteile niemals völlig ausgeschlossen werden können, halte ich die Todesstrafe für falsch. Wenn jemand eine andere Meinung hat, respektiere ich das. Ein Forum werde ich Befürwortern der Todesstrafe aber hier in den Kommentaren nicht bieten. Drei leibhaftige CDU-Bundestagsabgeordnete und eine FDP-EU-Parlamentarierin sind zur Zeit auf Einladung der Regierung in Taiwan. Darunter ist auch Klaus-Peter Willsch, der Vorsitzende des „Parlamentarischen Freundeskreises Berlin-Taipei“ – in Ermangelung diplomatischer Beziehungen eines der wichtigsten Gremien, um überhaupt politische Kontakte zwischen Taiwan und Deutschland zu haben. Das sind Worte, wie man sie aus der deutschen Politik gern öfter hören würde – anstelle der üblichen Ein-China-Appeasements, wie die Bundesregierung sie seit Jahr und Tag von sich gibt. Zum Anhören: Ich habe Willsch zur deutschen Taiwan-Politik interviewt. 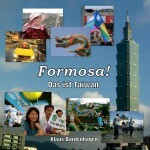 At the invitation of the Ministry of Foreign Affairs of the Republic of China (Taiwan), Parliamentarian Klaus-Peter Willsch, Chair of the Germany-Taiwan Parliamentary Friendship Group, leads a five-member delegation to Taiwan from April 26 to 30, 2011. Two other members of the Group is (sic) joining Chair Willsch: Parliamentarian Joachim Hoerster and Parliamentarian Uwe Schummer. All three of them belong to the German Christian Democratic Party. The rest of the delegation consists of the Chair’s spouse, Mrs. Annette Willsch, and assistant, Mr. Christian Raap. The delegation will call on Minister of Foreign Affairs Timothy C.T. Yang, Minister of the Environmental Protection Administration Shu-hung Shen, Vice Minister of Economic Affairs Jung-Chiou Hwang, Secretary General of the Mainland Affairs Council Shu-Ti Chang, among others. Legislative Yuan Vice President Yung-Chuan Tseng and Deputy Minister of Foreign Affairs Dr. Lyushun Shen will respectively host luncheons in the delegation’s honor. In addition, arrangements have been made for the delegation to visit the Council for Economic Planning and Development, Government Information Office, Hsinchu Science Park, National Palace Museum, AU Optronics Corporation, Aerospace Industrial Development Corporation, Tzuchi Foundation, Taroko National Park, and other cultural and economic establishments. 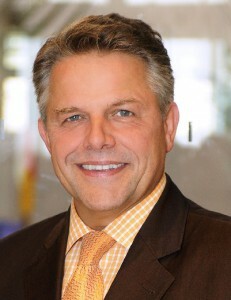 Chair Willsch, who has been serving the position of Chair of the Germany-Taiwan Parliamentary Friendship Group since February 2010, plays an active role in his party and the Budget Committee of the German Parliament. Parliamentarians Hoerster and Schummer belong to the Committee for Foreign Affairs and the Committee for Education and Research, respectively. Mrs. Annette Willsch is a publisher and Editor-in-Chief of the monthly magazine Rheingau-Taunus. Except for Parliamentarian Hoerster, this trip is the first for the members of the delegation. 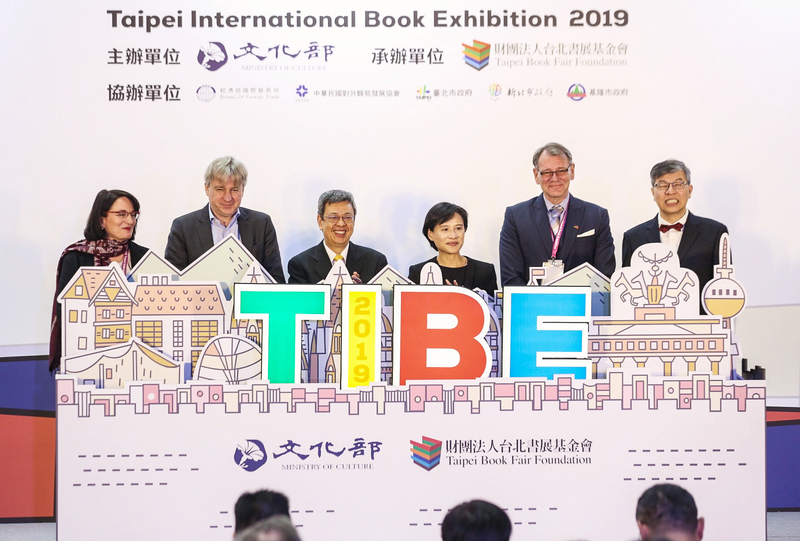 During their visit, the delegation members aim to obtain a better understanding of Taiwan’s most recent political, economic and cultural developments. With such knowledge, they will be able to further promote the substantive relations between Taiwan and Germany. Dass Klaus-Peter Willsch zum ersten Mal Taiwan bereisen soll, deckt sich nicht mit einer Meldung von Radio Taiwan International, derzufolge er im Februar mit 15 hessischen Weinköniginnen im Gefolge hier war. Klarstellung, 3.5.2011: Die Weinköniginnen-Veranstaltung fand in der Taipeh-Vertretung Berlin statt, nicht in Taiwan. RTI hat sich im Kontinent vertan. Joachim Hörster setzt sich offenbar besonders gegen die Todesstrafe ein. Da wird er in Taiwan bestimmt viel zu diskutieren haben. Parteiübergreifend wollen die Politiker hier ja die Todesstrafe erst abschaffen, wenn eine Mehrheit der Bevölkerung dahinter steht. Wenn die Väter des Grundgesetzes 1949 auch so gedacht hätten, würden wir in Deutschland wohl heute noch hinrichten. Bei dieser Argumentation frage ich mich: Würden die selben Politiker sich auch dem Volksempfinden beugen, sollte die Mehrheit der Bevölkerung in Umfragen fordern, z.B. die Einkommensteuer abzuschaffen? Hier noch ein Bericht aus dem Januar 2010 über den Taiwan-Besuch einer anderen MdB-Delegation. Außerdem befindet sich gerade (und noch bis zum 29.4.) die FDP-Europaabgeordnete Alexandra Thein mit drei weiteren liberalen EU-Parlamentariern in Taiwan. The delegation will have an audience with President Ma Ying-jeou, call on President of the Legislative Yuan Wang Jin-pyng, Minister of the Mainland Affairs Council Lai Shin-yuan, Deputy Minister of Foreign Affairs Dr. Lyushun Shen, and Deputy Minister of Economic Affairs Lin Sheng-chung, Director General of the Intellectual Property Office Wang Mei-hua, and meet with representatives from the Kuomintang party, the Democratic Progressive Party and the European Economic and Trade Office. President Wang Jin-pyng and Deputy Minister Lyushun Shen will host banquets in their honor. The delegation will also visit the National Palace Museum, Taipei 101, Taroko National Park, the Industrial Technology Research Institute, Hsinchu Science Park and Eco-City, among other cultural and economic establishments. Per Twitter meldete sie sich nach ihrer Ankuft zu Wort – und verwendete für Taiwan die Kalter-Kriegs-Bezeichnung „freies China“, womit sie sowohl die EU, die chinesische Regierung, als auch sehr viele Taiwaner vor den Kopf stoßen dürfte – würde man jede Äußerung auf die Goldwaage legen. Aber Taiwans politische Situationist nun mal eine besonders verzwickte, und man kann über jeden westlichen Politiker froh sein, der überhaupt den Weg hier her findet. In long term perspective the One-China policy is not and cannot be in the interest of the EU. Now, while I personally oppose the Death Penalty on principle, I dislike the EU’s double standards when criticizing Taiwan while more or less tolerating executions in the US or Japan, not to mention the thousands of prisoners being killed in China every year. More important, however, is the open questioning of the EU’s fatal „One-China policy“. While the European Parliament is probably the least powerful of the three major EU institutions, and the Liberals constitute but a minority fraction, it is good to see some common sense shining through once in a while.